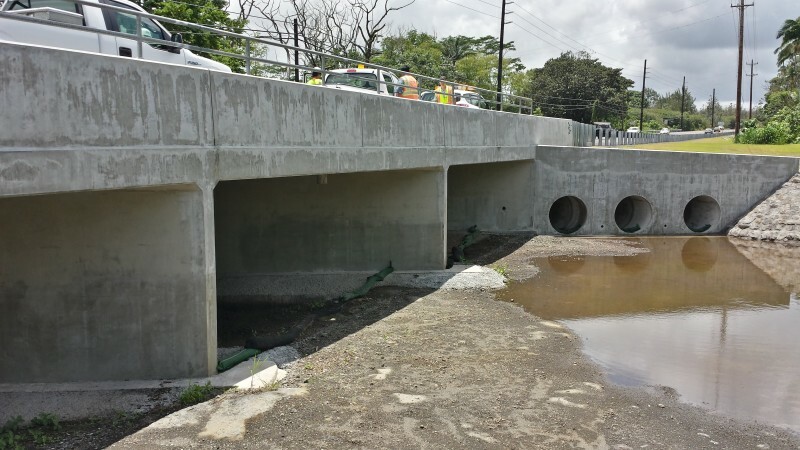 WOC provided engineering and planning service for the Keaau-Pahoa Road Improvements. The project improves safety and traffic capacity between the Keaau Bypass Road and Shower Drive, a distance of approximately 2 miles. The project converted the shoulder into a permanent travel lane. The increased roadway width also required the widening of Waipahoehoe Stream Bridge. Drainage improvements along the widened highway included lengthening and repair/replacement of existing culverts, and the installation of a new multiple pipe culvert across the highway to alleviate flooding conditions. Relocation of utility poles and easement or land acquisition was required. Relocation of utility poles and easement or land acquisition was also required. WOC also prepared and processed a State and NEPA Environmental Assessment, including addressing Section 106 consultation under the National Historic Preservation Act and Section 7 of the Endangered Species Act.